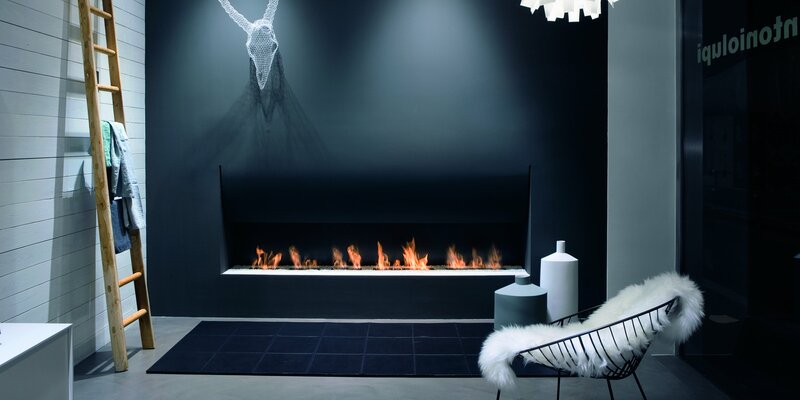 Prandina is delighted to announce the first of many decorative luminaries that will be disclosed during 2016. 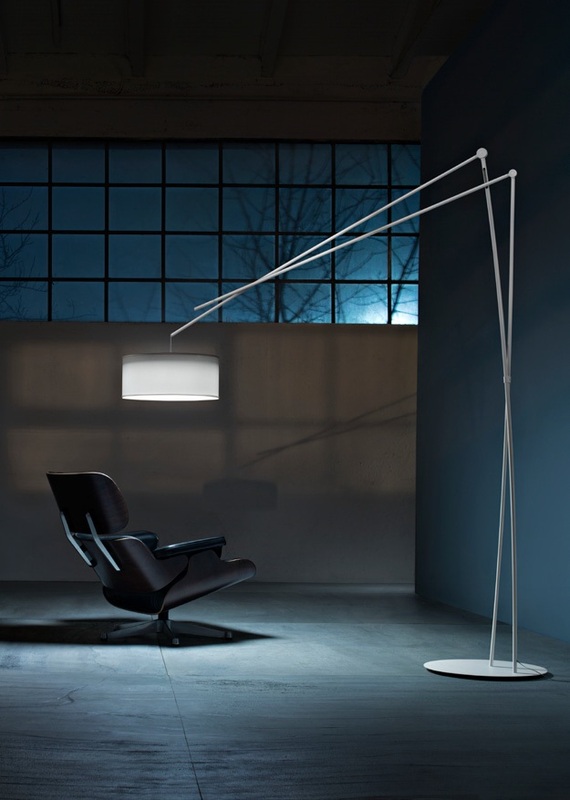 The Effimera floor lamp is the result of a creative and technological study collaboratively carried out by our design and R&D team at Prandina. Effimera owes its name to the lightness and flexuosity of the two metal stems that encounter themselves several times along the upward path of the structure. Effimera’s innovative and minimal contemporary design structure is enhanced by our energy saving approach. Effimera is supplied with an LED light source, a module that comes pre-integrated into the curved diffuser, which can be enriched or not by a cylindrical fabric lampshade. 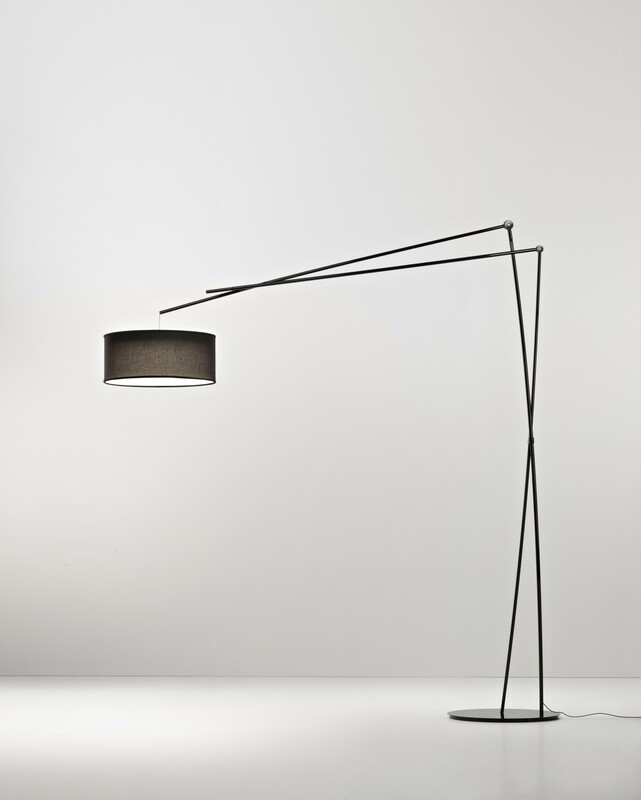 Also, the lamp is available with an E27 fitting within the bell shape diffuser and housing. Available in two classic standard colours, glossy black and matt white, however Effimera permits bespoke finish customisations. 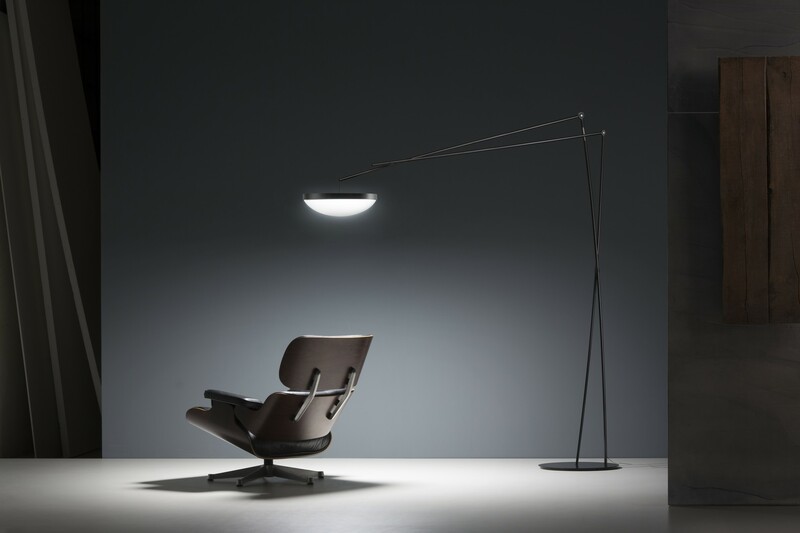 Not only does the lamp create the perfect ambience as well as functional lighting, the characteristic of the lamp includes the height adjustment feature of the diffuser, a detail that makes it particularly suitable as a living room and reading lamp. 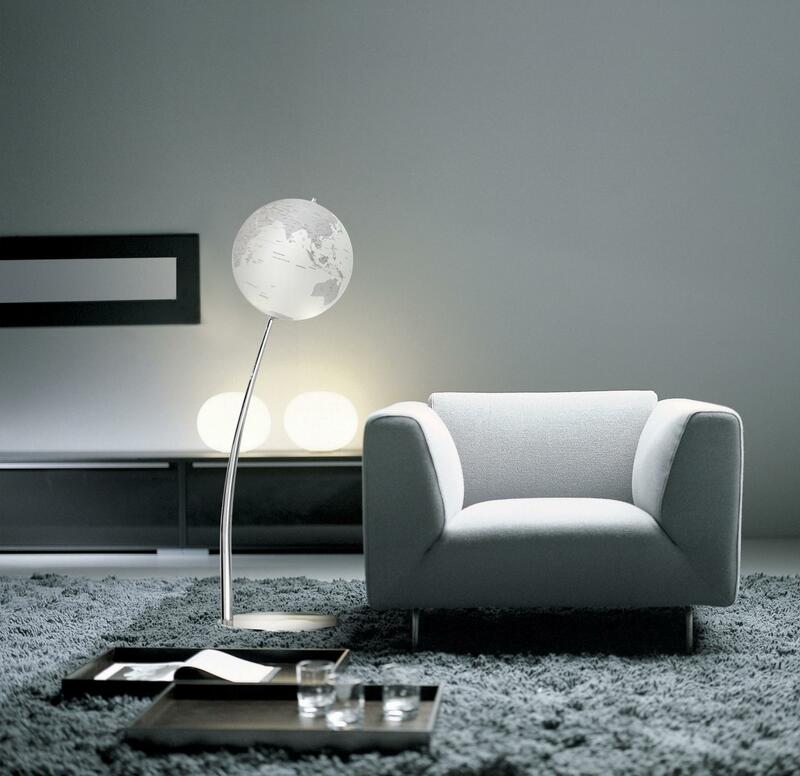 The diffuser can be positioned within a height range of 55cm. Our unique and clever adjustment mechanism is discretely hidden inside the structure, thus the design remains unchanged, without giving up on the practicality, usability and craftsmanship that this functionality provides. Effimera is also available in a wall version that preserves the characteristics of the floor model, with the addition of a radial pattern movement of 180 degrees.